As Spokane grew in the late 19th Century there were some needs of the community that were not being filled. The Episcopal Diocese of Spokane believed that one of these needs was an all girls school to teach the areas young women. 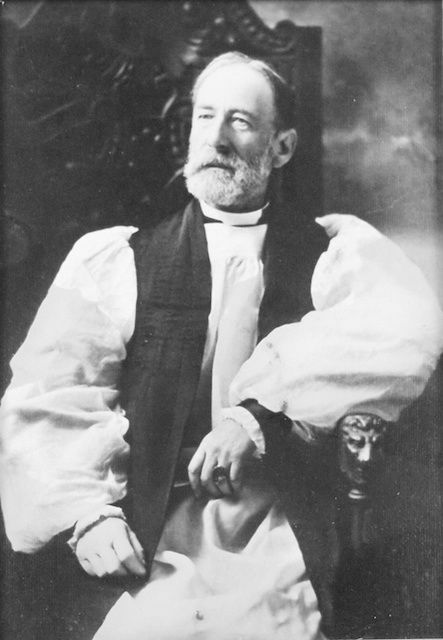 The newly appointed Bishop of the Episcopal Diocese of Spokane, Lemuel H Wells was riding a train in 1892 from Pullman to Spokane, when he met the philanthropists Mr. and Mrs. Felix Brunot. The Brunots lived in Pittsburg, Pennsylvania and were taking a tour of the west, while on the train Wells convinced the couple to stop in Spokane on their tour. Mr. and Mrs. Brunot visited Spokane and gave the church $30,000 to build the school and an additional $22,000 for the land. The Episcopal Diocese of Spokane bought what was called St. Mary's Hall on the corner of West Pacific Avenue and South Hemlock Street. The original building was not big enough to match the plans of the Episcopal Diocese so they added onto the building to meet their needs. The school was named after its benefactor and was called Brunot Hall. Brunot Hall was a massive school for girls. It was a combination school, meaning that while some students lived at the school, others lived in their nearby homes with their families. Brunot Hall had room for 50 boarding pupils and reminded parents that "The school is not designated to reform bad girls, but to educate and train the well-disposed in habits of refinement and courtesy, fitting them for cultured society." Private schools were quite rigorous places to study and quite an investment by the patents of the children. In order to help parents decide where to send their children schools could be advertized in publications. This was the case for Brunot Hall who advertized in publications such as The Churchman in July of 1909 claiming, "Certificate admits to Smith, Wellesley, and other colleges. Advantages in Music, the very best. Fine Art Studio." Bishop Wells understood his constituents and in response to farmers despair over the education of their daughters the church "kept down the charges for board and tuition to the very lowest mark possible." For the 1911-1912 school year the price for one year tuition and board was set at $450.00, using an inflation calculator this translates into roughly $10,500.00 in 2013. Brunot Hall was a very rigorous course of study. In 1910 the subjects taught were Psychology, Ethics, English, German, French, Mathematics, History, Greek, Latin, Prose Composition, Science, Physical Culture, Bookkeeping and Stenography (shorthand writing). 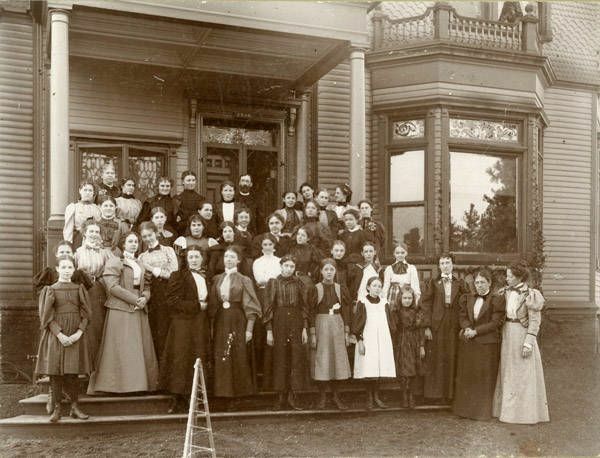 In 1910 Brunot Hall had 11 instructors, all women. Four of the 11 instructors had obtained a bachelor's degree from a university. The teachers came from across the country such as Vassar, Smith College, Stanford and Vanderbilt University. The church valued their instructors, Bishop Lemuel H. Wells claimed "We are fortunate in our staff of teachers, most of whom were women of ability who gave themselves to the work at a most nominal salary." In the Brunot Hall Catalog for the 1907-1908 school year, Helen Campbell was listed among the pupils. Helen was the daughter of mining magnate Amasa Campbell and lived in the Campbell House nearby on West 1st Ave. in Browne's Addition. Through searching the alumni listings for Brunot Hall it appears that Helen was not among the alumni. Although Ms. Campbell attended the school for at least a year it appears that she never graduated. In 1912 there was a fire in Brunot Hall. The damage from this fire required $3,000 and was repaired. In World War One the Girls' School was suspended, after the war the building was used as a dance studio, later to be converted in 1931 into a theatre for Spokane Little Theatre Group. World Wars impacted the use of the building again when in 1943, during World War Two, the building was remodeled into apartments for workers. Brunot Hall remained apartments from 1943-1975 when the building burnt down completely. The Pacific Terrace Apartments replaced Brunot Hall in 1975 and still stands today. Brunot Hall, Voice Courtesy of Brittany Wnek, Text Courtesy of: Porter E. Sargent, A Handbook of The Best Private School of the United States and Canada (Boston: Geo. M. Ellis Co., 1915), 497. Zachary Wnek, “Brunot Hall,” Spokane Historical, accessed April 20, 2019, https://spokanehistorical.org/items/show/311. Sargent, Porter E. A Handbook of The Best Private School of the United States and Canada. Boston: Geo. M. Ellis Co., 1915. Wells, Rt. Rev. Lemuel H. A Pioneer Missionary. Seattle: Progressive Printing, no date. http://anglicanhistory.org/usa/wells_pioneer.html (accessed March 23, 2013). Yeomans, Linda. 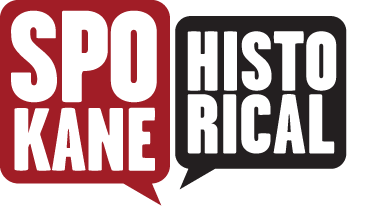 "Historic Property Inventory Form - Pacific Terrace Apts." State of Washington, Department of Community Development Office of Archaeology and Historic Preservation, December 1, 2001. https://fortress.wa.gov/dahp/wisaard/documents/HPIF/0/17/17549.pdf (accessed March 23, 2013). 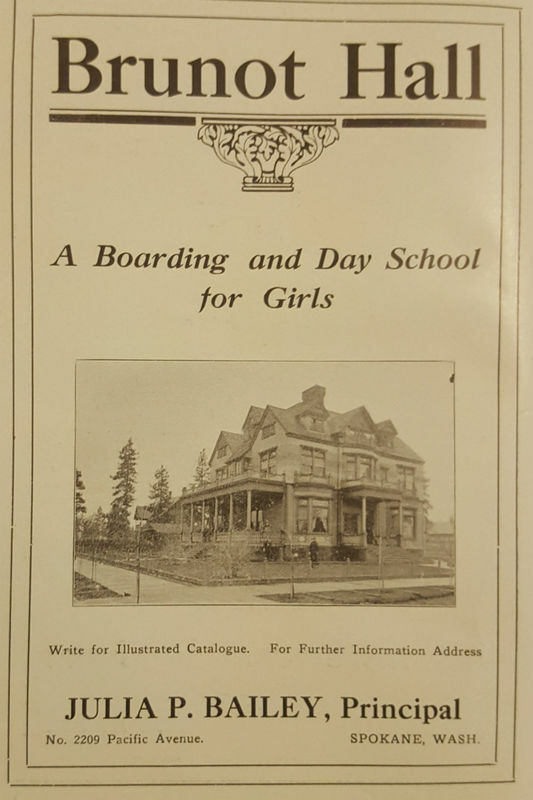 "Brunot Hall for Girls: Where Environment Is Like Refined Home and Culture Is Keynote of Instruction." The Spokesman-Review, June 12, 1910, Spokane, WA edition. The Churchman, 1909. "Brunot Hall for Girls: Where Environment Is Like Refined Home and Culture Is Keynote of Instruction." The Spokesman-Review, June 12, 1910, Spokane, WA edition. 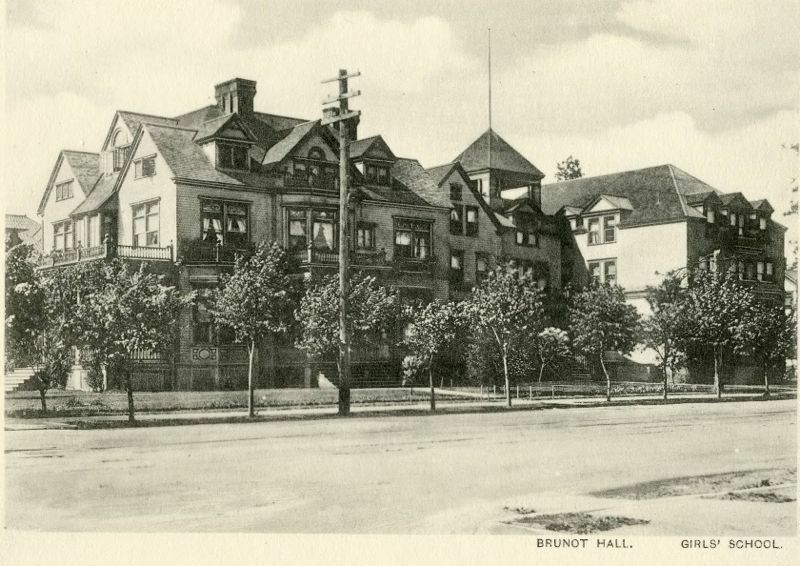 Brunot Hall, Spokane: Catalogue Number Eighteen, 1911-1912. Spokane, WA, 1911. 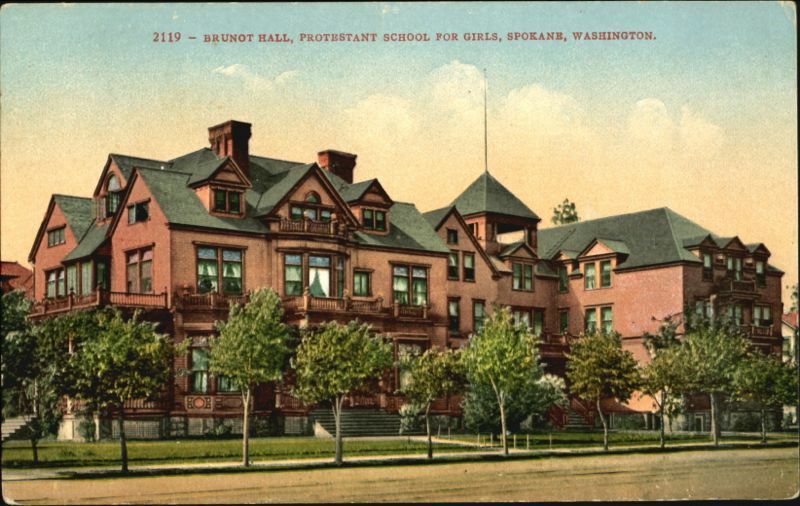 Brunot Hall, Spokane: Catalogue Number Eleven 1904-1905. Spokane, WA, 1904. Undeberg, Krista Anette. "The Diary of Helen Campbell: Life During Spokane's Age of Elegance". Pullman, WA: Washington State University, 1997. 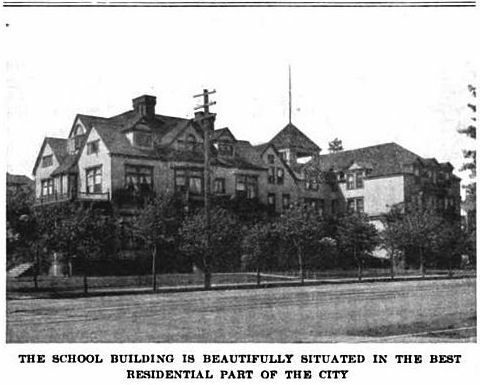 Brunot Hall, Spokane: Catalogue Number Fourteen, 1907-1908. Spokane, WA, 1907. Brunot Hall, Spokane: Catalogue Number Twenty One, 1914-1915. Spokane, WA, 1914.